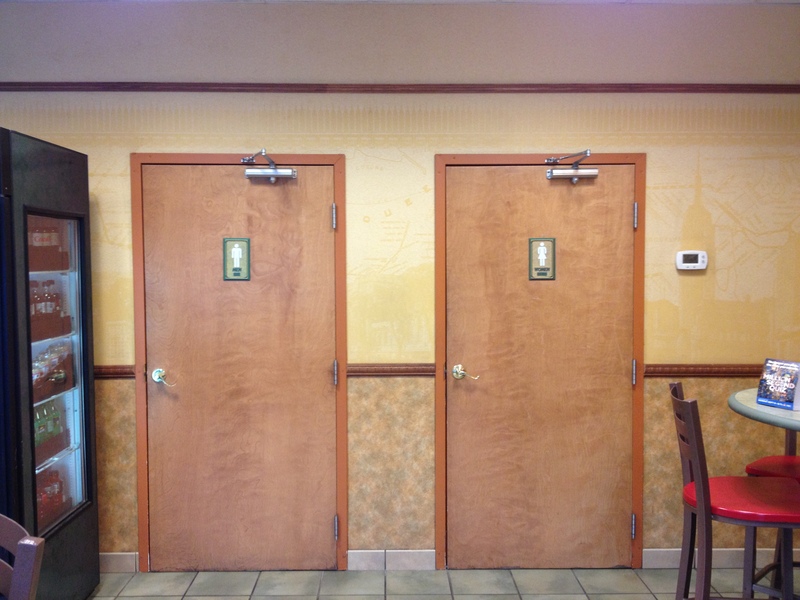 Some insight by the hardware installer and a simple parallel arm mounting plate would have tucked these closers out of site on the other side of the door. On new projects the suggested mounting position should be noted in the hardware schedule. In the after market situation an installer should carefully read the manufacturer’s installation instructions to determine the best mounting application for each door he is working on. 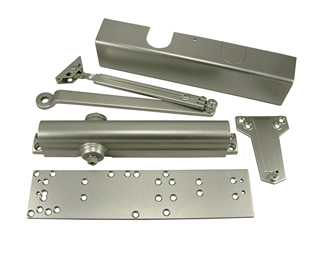 The Design Hardware 316R Series Replacement Door Closer is not just another door closer. The 316R features the patented Mounting Plate that enables the 316R closer to retrofit 32 door closers without having to drill new door prep holes. 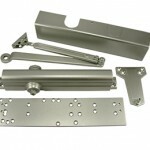 The principle behind the Mounting Plate is to attach the plate to the door using original door closer bolt pattern. Once the mounting plate is secured, the 316R Door Closer is attached to the Mounting Plate using the four threaded holes. 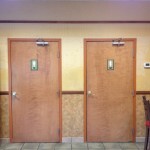 This eliminates the problem of having to drill additional holes through the door. I was talking to my bff and she had recently seen closers mounted on the exterior side of a door and was surprised. I told her that I see it all the time. A recent trip to Athens, Georgia provided the following 3 openings all within 2 blocks. 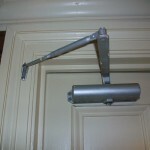 Read the rest of this post for some humorous examples of door closers mounted incorrectly. 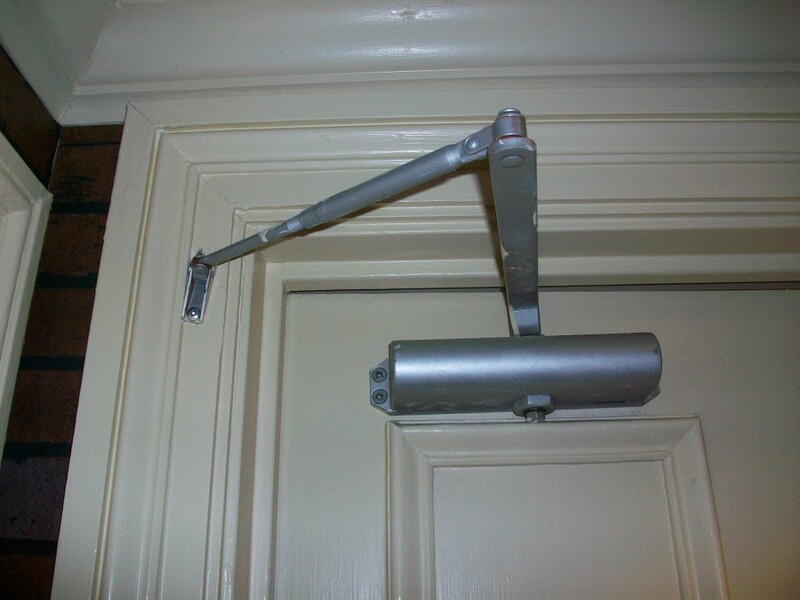 You know…the side jamb mount, the bent PA bracket mount, etc!